Can Our Children Come With Confidence? I love this passage! God wants us to come to Him with confidence. That means no matter what we’ve done or how we are feeling, we can approach God in humbleness and reverence knowing He will always accept, love, and forgive us. He also sympathizes with whatever we are going through. “See how great a love the Father has bestowed on us, that we would be called children of God; and such we are. For this reason the world does not know us, because it did not know Him” (1 John 3:1, NASB). Can you say the same about your children? Do your children have enough confidence in you to come to you for anything and everything? What about you? Are you totally confident in going to God for anything and everything? Sadly, the answer to these questions for many is “no.” Our world tends to use threats and fear to control children. Infants are left to cry-it-out instead of being sensitively responded to when they cry. Children are spanked/hit and otherwise punished instead of being guided through problems. Churches teach that God is mean and angry instead of loving and merciful. 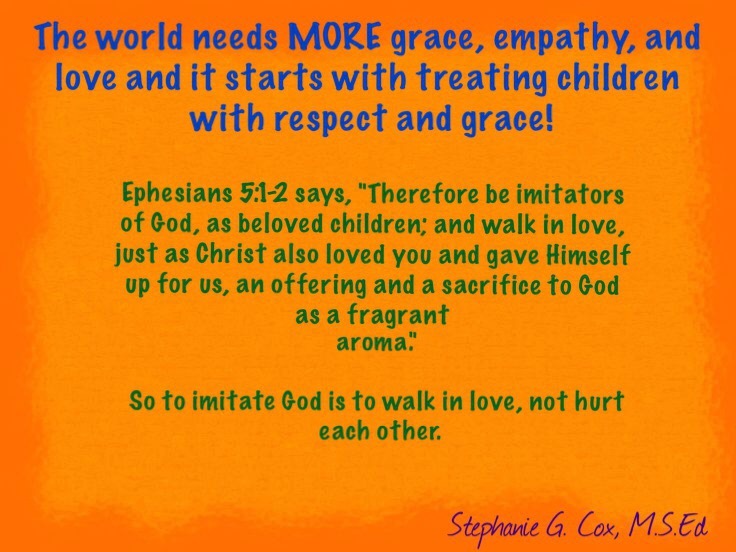 Treating children harshly makes them lose confidence in us and, ultimately, God. How can anyone approach someone in total confidence if they might hurt or reject us? I know I can’t. I know a great deal of people who are so used to being rejected, hurt, and treated harshly/abusively that they struggle to trust God. They’ve been spanked/hit in His name and fear that He will hurt them whenever they mess up. Some Christians find the thought of someday seeing Jesus face to face and His unconditional love for them more terrifying than the thought of going to Hell due to how they were treated as children. That is beyond sad! Connection, as L. R. Knost says, is key to guiding children of every age through problems. Connection leads to trust. And trust leads to confidence in us, and ultimately, God. God wants our total trust and confidence in Him. Also, let’s not forget the second part of the introductory Scripture. 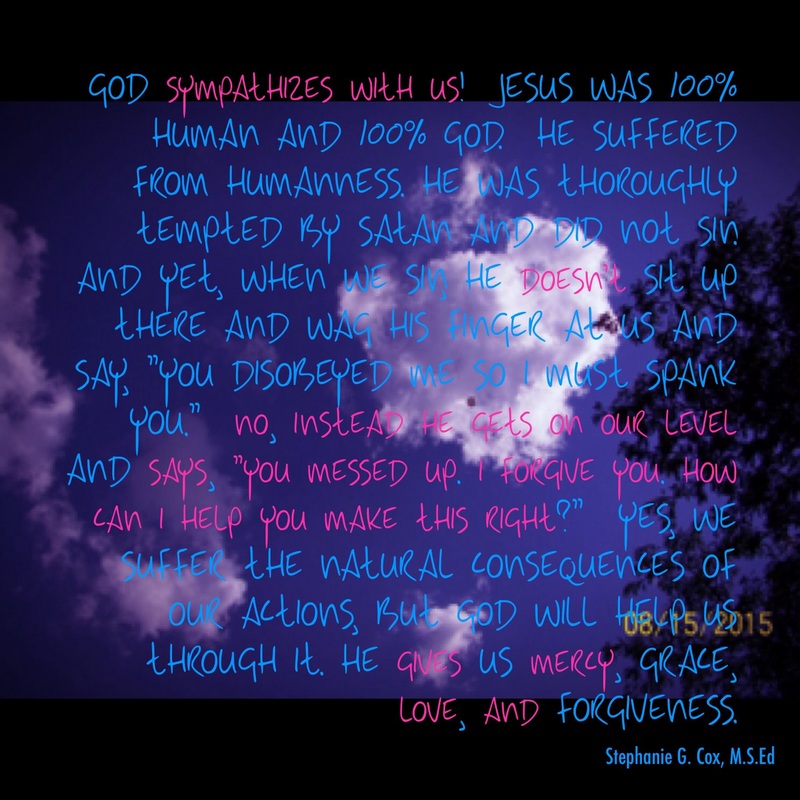 God sympathizes with us! Jesus was 100% human and 100% God. He suffered from humanness. He was thoroughly tempted by satan and did not sin. 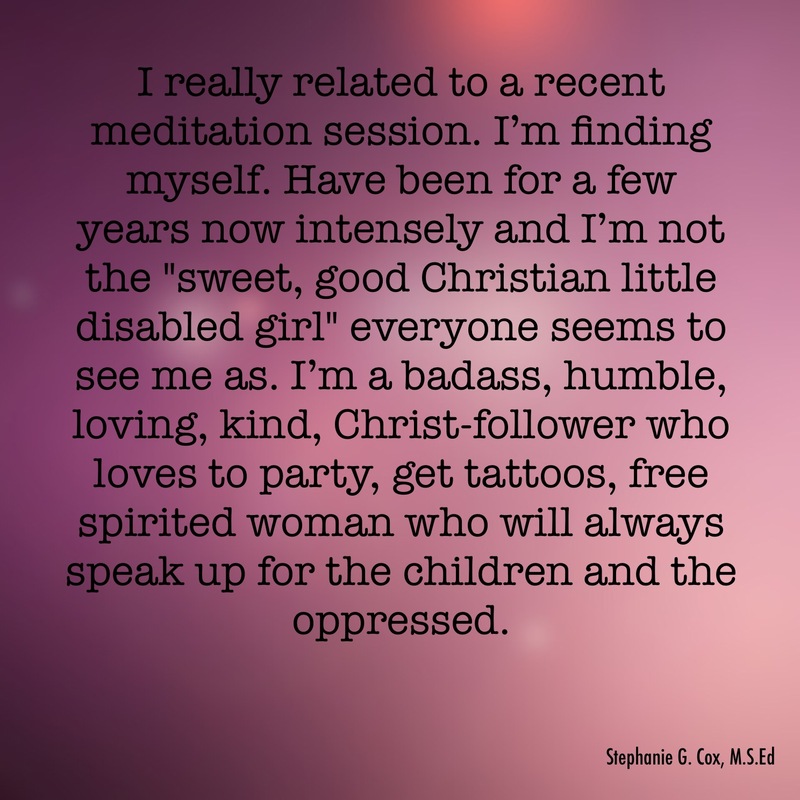 And yet, when we sin, He doesn’t sit up there and wag His finger at us and say, “You disobeyed me so I must spank you.” No, instead He gets on our level and says, “You messed up. I forgive you. How can I help you make this right?” Yes, we suffer the natural consequences of our actions, but God will help us through it. He gives us mercy, grace, love, and forgiveness. If you read this post, you know my husband and I are grieving the loss of his mom. Again, I’m so grateful God can sympathize with our pain. I’m so grateful God doesn’t punish us when we mess up usually because we are hurting inside and that hurt can come out as us lashing out. God wants us to come to Him with total confidence. And since we are responsible for leading our children to Him, we need to do our best to help them be able to come to us with total confidence. If they can’t, they’ll find someone else to place their confidence in and that person may not have their best interests at heart. So, can your children come with confidence?